A unique gift idea for a special someone turning 50! 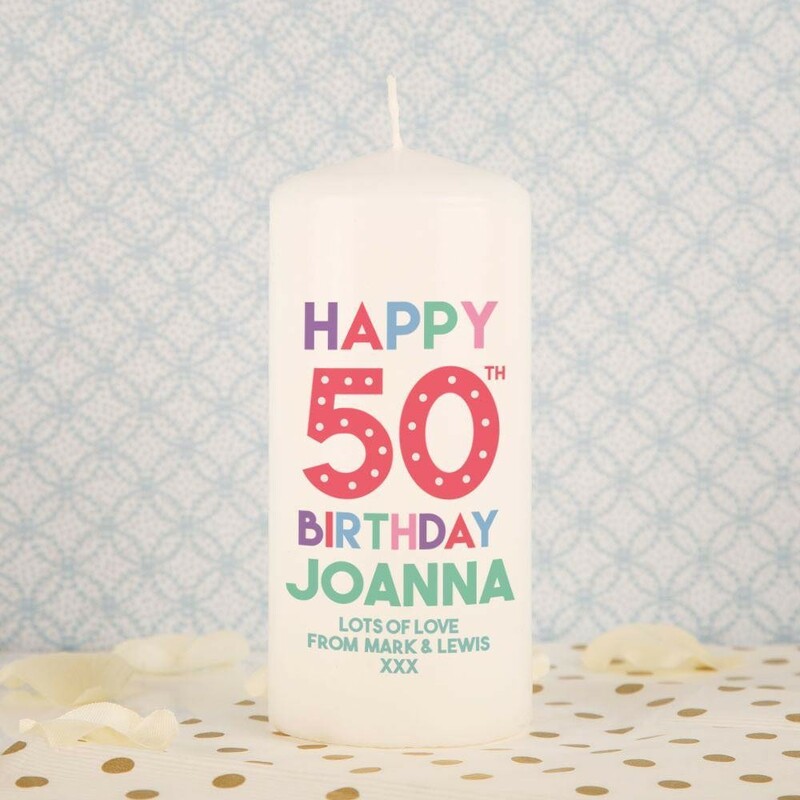 Our personalised pillar candle is printed with a colourful design. It features her name and a short message of your choice. 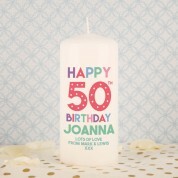 The bold design features pink, purple, blue and green lettering which reads “Happy 50th Birthday”. The colours will pop wherever it is placed, and visitors will be quick to comment on it! It will look lovely sitting on the table while she entertains guests on the big day. Alternatively she can tuck it away as a special keepsake. It comes gift ready for the recipient in its luxury, organza bag. Burning Time: Approx 40 hours. Dimensions: Approx 11.5cm Tall. 5.5cm Diameter.